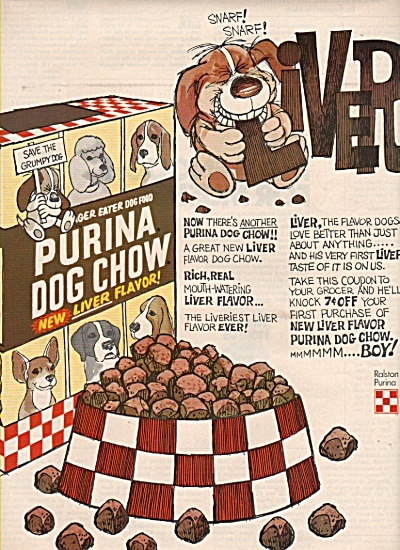 Purina dog chow ad 1972 - 10 x 13 inche sof a colored ad. New Liver flavor. Save the grumpy dog. Cute sayings andpictures.